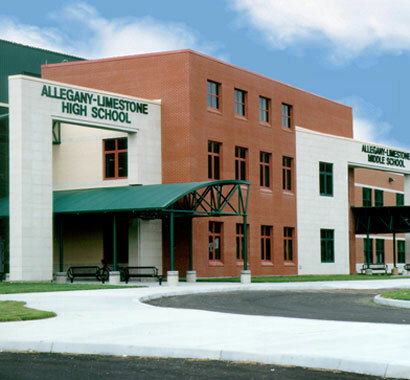 Allegany-Limestone Central School District has been a repeat client since 1995, beginning with a Capital Expansion Project that addressed modernization and restoration of its 1920s-era school buildings over three phases. Renovations to two elementary schools and the construction of a new 143,000 SF middle-high school completed Phase I, the addition of 14 new classrooms and an aquatics center to the middle-high school during Phase II, and the addition of elementary computer labs, a library media center, and a transportation/maintenance facility in Phase III. A subsequent $5.4 million EXCEL project reached completion in 2009. The project included renovations and site work at Limestone Elementary, Allegany Elementary, and Allegany-Limestone Middle-High School. In 2016, the District selected Campus to provide pre-referendum planning and public information campaign assistance for its 2017 Capital Improvements Project. The $17.3 million project was approved by voters in May 2017. 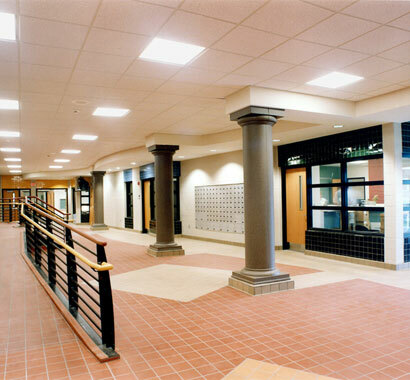 Key scope items include safety and security upgrades across all school main entrances as well as an expanded theater lobby at the middle-high school and a glass wall at the cafeteria entrance to enhance natural light. 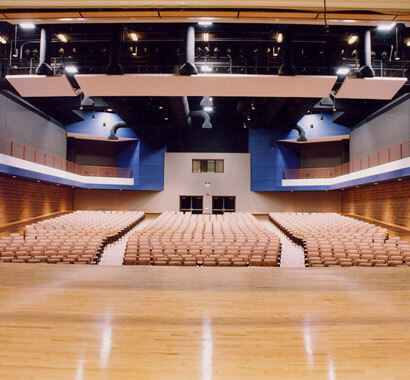 Building envelope renovations include partial roof replacement and resurfacing at both schools as well as interior improvements and MEP upgrades. Athletic facility additions and renovations include a multi-purpose, all-weather athletic field, locker room upgrades, and resurfacing of the District’s track and tennis courts. Site work at both schools also includes drop-off loop, parking, and circulation upgrades to improve access across each campus.